This article is part of the Hipmunk Hotels campaign. 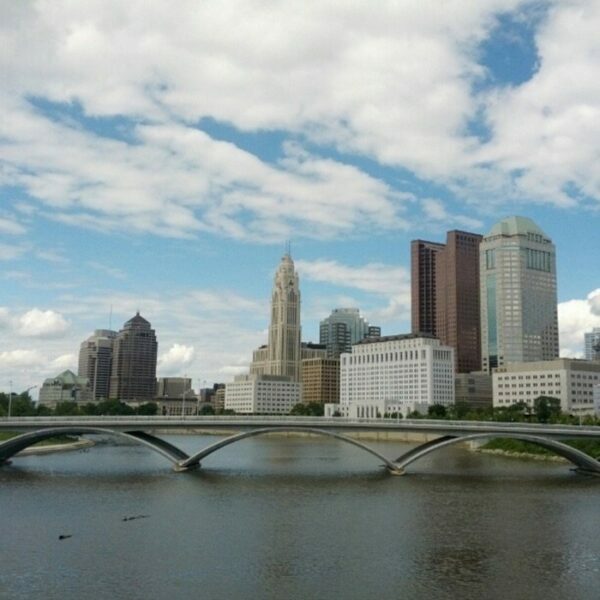 A trip to Columbus harkens and you want to find a nice hotel, but where? It’s a big city and full of fun things to see and do, which overwhelms many people who visit. Don’t worry because this guide is going to point out the best Columbus hotels within reach of the city’s popular attractions. Let’s get started with some truly relaxing and convenient options. Stay at the Hilton Columbus/Polaris for the city’s best spa hotel. This hotel sits on the north side and is next to Polaris Fashion Place but there are plenty of things to do on site. There are 252 rooms starting at $137, and guests have a pool, hot tub, and fitness center at the Hilton between trips to and from the city. The Gemini Grille will keep everyone’s appetites happy and looking forward to the next serving. The Hyatt Regency Columbus is a massive hotel in the Arena District. Many visitors come for the comfy rooms but also because this place is close to Nationwide Arena, right off Convention Center Drive. There are 631 rooms and starting at just $176, with a business center and meeting rooms for those who want to get some work done while in Columbus. The hotel fitness center will help you work off that nice meal at the on-site restaurant. Visitors to the Ohio State University will love the Blackwell, sitting next to the Fisher College of Business. It’s very close to Ohio Stadium and perfect for Saturdays in the fall, when the Buckeyes host one of college football’s best. Enjoy a meal at Bistro 2110 at the Blackwell and you’ll want to get in on the fun, but hurry. The Blackwell’s 151 rooms start at $137 and will quickly disappear during busy times. Hawthorne Park Bed and Breakfast in Near East Columbus offers a truly personal experience for its guests. This BNB has 4 rooms starting at $148, relax in a historic neighborhood surrounded by similarly designed Victorian houses. The daily menu changes and caters to your tastes, which is great for a long-term visitor. Guests will also love Hawthorne Park’s proximity to Franklin Park Conservatory and Botanical Gardens, and everything else in the area. Enjoy the comfort and convenience of the Lofts Hotel before heading out to the city for a day. It’s tucked between the Arena District and Downtown and guests can choose from any of their 44 cozy rooms and for a starting price of just $186. Have room service, eat at the attached Max & Erma’s, or any of the excellent restaurants surrounding the Lofts Hotel. Have a dip in the pool or get some exercise at the fitness center to complete your stay. Depending on your purpose for visiting Columbus, these hotels will take care of everything you need. Which one stood out to you as the most appealing option? Regardless of where you want to stay in Columbus, enjoy your trip to the Buckeye State!